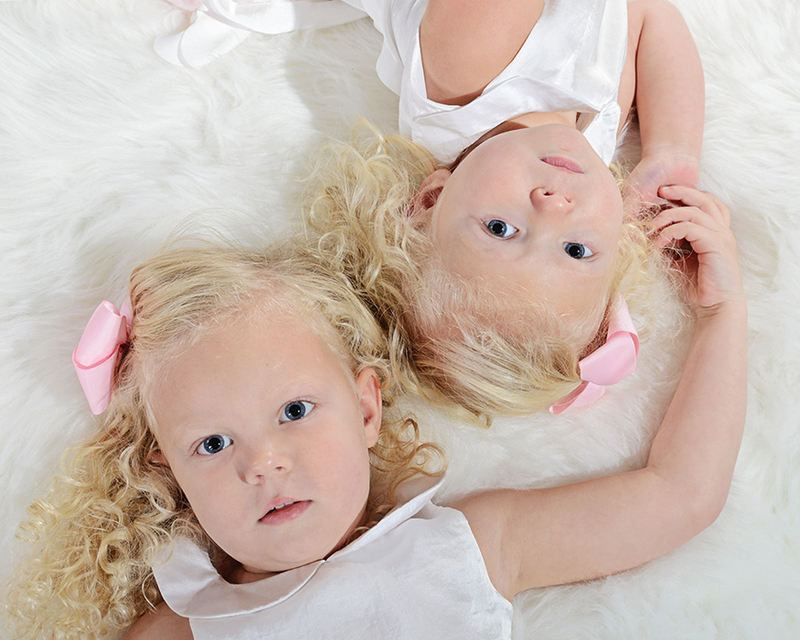 I had the privilege to photograph these two beautiful little angels this past weekend. It took some convincing and a little bit of princess talk, but Kinsley came around and had no problem getting in front of the camera. Kloey was ready to go as soon as she saw my furry rug she got to sit on! Because it was so cold, windy, and spitting rain we stayed indoors for their photo session. I typically shoot with natural light, but the studio images of the girls turned out absolutely stunning! They are some of my favorite studio portraits. There is something special about taking pictures of siblings and seeing their interaction with one another. Kloey, 2 years old, and Kinsley, 3 years old, were so fun to work with and reminded me of my two little ones together. At this age kids move so fast and it is easy to miss the brief connection between siblings, but the camera helps to slow that down and capture those moments. Kloey looks up to Kinsley so much and these portraits display that is such a subtle way. I have to give a shout out to Mom for providing such cute clothes:) My angelic vision would never have been possible without those beautiful dresses.